Audiophiles have been familiar with the German soundmasters Sennheiser since the last 60 years. Now, ID graduate Matthew Lim has come up with a pretty interesting concept for the brand with the EcoVinyl. 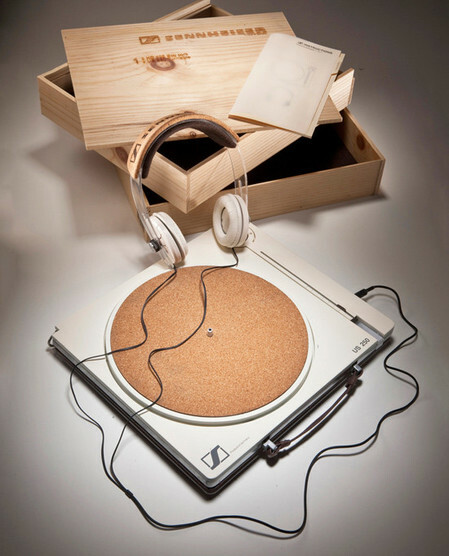 Basically a turntable-headphone made from sustainable materials, this concept was developed at the Art Center College of Design and could probably be the most environment-friendly way to digital-music! Made from density fiberboard, cork and aluminum, this one could cost about $350 if it ever did hit production lines. With minimal carbon footprint, the EcoVinyl is made of 45% fiberboard, recyclable and biodegradable and seems to be a pretty interestingly eco-friendly way to play music out loud! Living in slums isn’t a breeze, and for those who’re all too used to living with creature comforts today, understanding the plight of slum-dwellers isn’t all that easy. These poverty-stricken areas are more than often left unconnected to the grid, and given the fact that houses in such places are built packed close to each other, daylight is usually left out completely, with homes staying dark inside during the day time too. The Isang Litrong Liwanag (A liter of light) Project caught our fancy lately, given that it uses waste bottles, turning them into full-fledged light sources! By punching holes in metal-roofing-sheets and placing plastic bottles in the grove, these light sources are then fitted in place with sealant, filled with clean water and then bleach. When placed as part of slum-roofs, these let in natural light, and glow bright, bringing in light to the darkened-slum-homes! Having poop to shelter your head from the elements hasn’t really been an option before, though Britain will now begin doing just that, with the opening of its newest recycling plant. 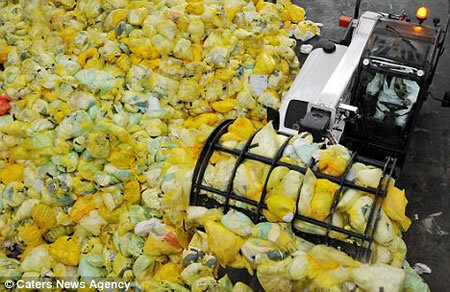 The plant by Canadian firm Knowaste will recycle 36,000 tonnes of nappy waste to produce roof tiles. Britain generates half a million tonnes of waste from disposable nappies on a yearly basis with an average baby cycling through a good 6,000 nappies before finally figuring out how to use the toilet, with each nappy taking a whopping 500 years to decompose! The plant is expected to help reduce at least 22,000 tonnes of greenhouse gas emissions per year, almost as good as kicking 7,500 cars off UK roads! 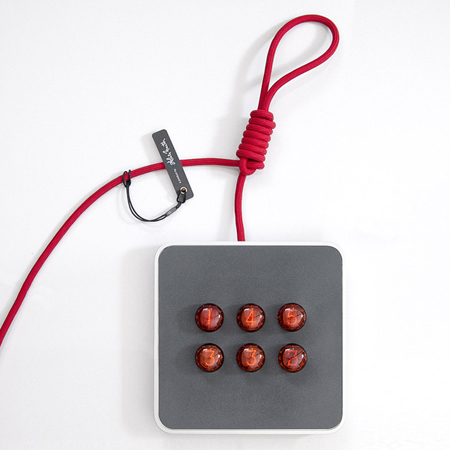 Designer Daniel Kurth hates wasting dead electronics. So much, that he transformed his deceased Apple TV into a fully functional clock! Using the recycled body of the Apple TV, Kurth put to use every part of the device into making the 1 Nixie Clock and added a bit more for the final effect, including a nixie controller board. Kurth also cleverly put to use the heavy duty tissue cable, making it both, a power cable as well as wall mount string for the 1 Nixie Clock. Also, this fully functional clock was pieced together completely by hand, and Kurth made sure to have the old Apple TV completely recycled! Recycling can get pretty tricky to understand at times, and explaining it to kids gets harder than explaining those essential facts of life most of them end up learning at school. Though, with the world going to dumps today, literally, future generations need to be educated on the need for recycling and ways to save the environment before it finally perishes beyond repair. The Dr. R.E. 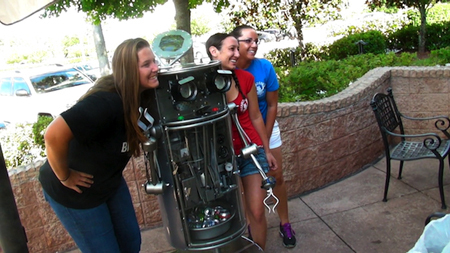 Cycler robot does just that in a fun-filled way, assured to keep younger ones interested in recycling! With R.E. denoting “robotic environmentalist”, this one was specially designed by Florida Robotics to educate kids in regards to recycling. Houseboats aren’t uncommon, and neither is living away from land! Rishi Sowa prefers living off-land on a home made from recycled plastic bottle though, and seems to have done a pretty neat job of it too! An ecological project unlike any we’ve ever seen before, Sowa’s home was made from recycled plastic bottles that could’ve, if not for the designer, ended up in dumping grounds, killing our environment with every passing hour. Made from a staggering 135,000 recycled plastic bottles and taking several years to build, this floating home has been playing residence for Sowa since the last three years! Computer parts do not necessarily need to be thrown away, once their lifespan dies out. Instead, you could recycle them and turn them into a bunch of useful products, like this pair of sandals for example. 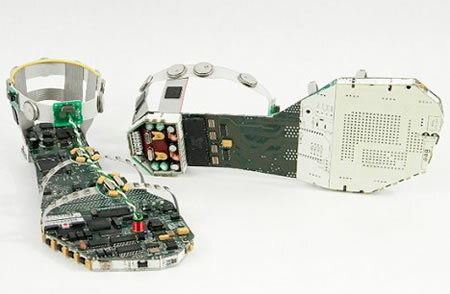 Created by Steven Rodrig, the Data Sandals were made from PC mother boards, ribbon wire and a bunch of other thrown-away computer parts. Also, these are highly detailed and completely wearable, though we aren’t sure just how many of us would prefer wearing sandals that seem to have mated with a computer! Apple seems to have learned to work for the best interests of the environment lately. 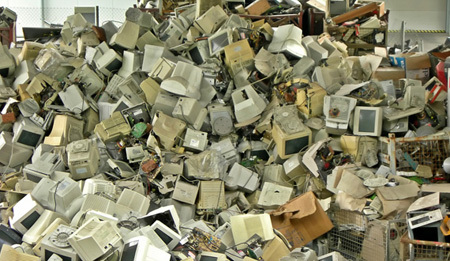 The manufacturer is now willingly accepting old computers, sending them for recycling, in a bid to keep away a load of technological trash from dump yards. Earlier, Apple followed a protocol wherein people were charged for old PC disposal carried out by the manufacturer, or free disposal of old PCs was offered to those buying Macs. Also, Apple’s new Reuse and Recycling Program will take in iPhones and iPads and phones made by other manufacturers too who’ve met their death beds, and if your device still has a considerable breath of life left, you’re entitled to a gift card. Sure we all know what “ready to wear is”. Designer Sylvia Heisel loves playing around with words though and her definition of “ready to wear” is a step away from what we know it to be! The designer’s and Brooklyn accessories’ label, Paper No. has come up with the “Ready-to-Wear-Away” dress. Made from recycled paper distressed to look like leather, the true charm in the dress lies in the moment when the top layer wears away due to body heat and friction. Once the top layers off over a period of time, the dress goes on to show up inspirational quotes by some prominent thinkers including William Shakespeare, Virginia Woolf, Confucius, and even Tupac Shakur!